Finishing university with a bucket full of hopes and aspirations I didn't appreciate the bumpy start to my working life, I wasn't happy with the situation because I knew exactly what I wanted to do! London was calling me, taking me away for one week to spend some time with my parents and to let the city give me some life back was magic! So, November 2014 redeemed itself! London had thankfully left the lights on for me, making my way from Wolverhampton to London was the tonic I really needed. 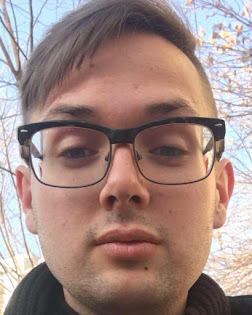 I had been applying and interviewing for teaching jobs in China but was not so trusting with the schools because they had some shady plans. The Tower of London had been transformed with a few thousand clay poppies, causing mass hysteria during the annual remembrance period. I got there just in the nick of time as the poppies were being uprooted the day before I got myself down to the 'big smoke'. It was a sight for sure, just one of the many things that lifted my mood during that period of drabness. I didn't have an agenda for my unplanned trip to London but a little event known as a 'birthday' would need to be celebrated! I was adamant not to celebrate my birthday with a gloomy state of mind because that's just wrong! Yes, November 2014 turned from drab to fab! Wading through the crowds took some going, London is definitely a crazy busy city that doesn't have any time but those pesky tourists got me mad! Leaving that drama behind me I had made it to the Tower of London to see those famous poppies, even though the cause was for the Remembrance season it had caused an almighty stir. Being back in London for only a short time it gave me life, since my Birmingham days, life had changed beyond belief so getting back down to London worked out. In one mind I didn't want to leave Bilston because I wanted to hear from prospective teaching opportunities from China but I had lost faith and had almost given up on that front, I needed a break for a few days. Seeing the sea of blood red poppies was amazing, in one way it was a perfect symbol of remembrance and also a great way to cause some commotion along the River Thames. Thinking about that time last year, London had helped me sort myself out during that time of disparity. Yes, London! Turning 24 years old in London was great, I was ready to see something different that time around. Like an Olympian I was feeling victorious, heading over to the former Olympic Stadium that hosted the London 2012 Olympic Games to see a little bit of that corner of East London. I appreciated the vista of the Olympic Park, I was in Newark, NJ during the games but managed to catch the closing ceremony on NBC when the Spice Girls reunited probably for the final time as a five piece pop band. Leaving Stratford behind I was Bermondsey bound but I'll leave that for later on. My birthday itself was a low key affair with a few too many drinks with my parents, followed by a full English breakfast the next day because that hangover was real! Spending my previous birthday in Liverpool and Chester I made sure I made up for that sober situation, I had my reasons boo! Yes, I look forward to many more future birthdays! I was treated to a shopping spree at my favourite high street retailer, she would be looking fine the next Soho called me! Talking of Soho, I left for that part of town after my post-birthday hangover had subsided to see what that Saturday night had in store. I started off at Village for a few ciders, it was only meant to be a few drinks then get the Tube back but that's a bare faced lie because I knew I was out till the next morning. Moving on to the Duke of Wellington, a few paces from Village it was a vibrant Saturday night in one of my favourite parts of London. Against all odds I had a really good night and that's all I need to reveal. Let's just say I had a great time, that's all that I'm going to recall. Soho has seen some many of its famous venues close during 2014 and onwards so another night out in that side of London was ace! Three days into my London getaway I was feeling much better and already planning things for my return home. Take me back to the Duke of Wellington now! I loved it! Longing for some hometown glory I asked my mum to take me back to West London, where we lived up until I was five years old. Taking the Circle Line to Perivale was more than like a blast from the past, it was so strange to see things almost the same. My mum could remember more stuff than me, for her I think it felt more weird because it wasn't right for us to be living there anymore. Walking slowly through the park that I had broke my left arm when I was three did trigger a few memories. I wasn't ready to see the house that we used to live in, not because I didn't want to see it but so much time had passed it felt alien. We couldn't go inside the house, that didn't matter to me, 5 Tees Avenue stood before us like a ghost. In a strange way I adored our visit back to West London but it was weird. Seeing Ealing General Hospital from the bus was just insane! Finally, we popped to Southall to get some tasty Indian treats! After my June 2014 summer trip to London I had seen some new places in London, keeping with that notion I jumped on a London Red Bus towards Peckham High Street. Known to have been the location of TV's 'Only Fools and Horses' I was searching for some South East London Realness! Peckham Rye is known to be a hipster hangout, no I didn't give that trick any attention because I wanted some flavour in my life! JB's Soul Food on Sumner Road served me up some spicy Jerk Chicken, Rice and Peas to my delights, just listening to some of the conversations gave me life for they were so real yet so funny! Talk about straight up parenting skills! Peckham had something that I really liked, there was no complaints with the mobile phone shops blaring out Naija Beats to my delight. Not content with my Caribbean food I wanted some Bun Cake, finding what I wanted from Peckham it was the right time to get back to Bermondsey. Undoubtedly, London is like a never-ending story! I truly love LDN! Sticking close to Shad Thames it felt natural to explore an upcoming and super trendy street, Bermondsey Street was a forgotten place but now stands with an air of cool. 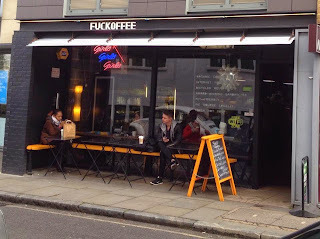 Getting a winter warmer had to be done at 'Fuckoffe' a coffee shop that I first saw in June 2014. Grabbing a smoothie and some soup I sat and listened to the chatters of London's young professionals, somewhat from the generation 'hipster' bracket. A few days previous I revisited Borough Market to take some photos for a upcoming blog and to also try some tasty food from one of the many stalls. Through the masses of people, mostly tourists I found a lovely chicken and mushroom pie, a little on the pricey side but that's London. Having parents who run a pub in London has made my numerous visits to the 'big smoke' extremely convenient! 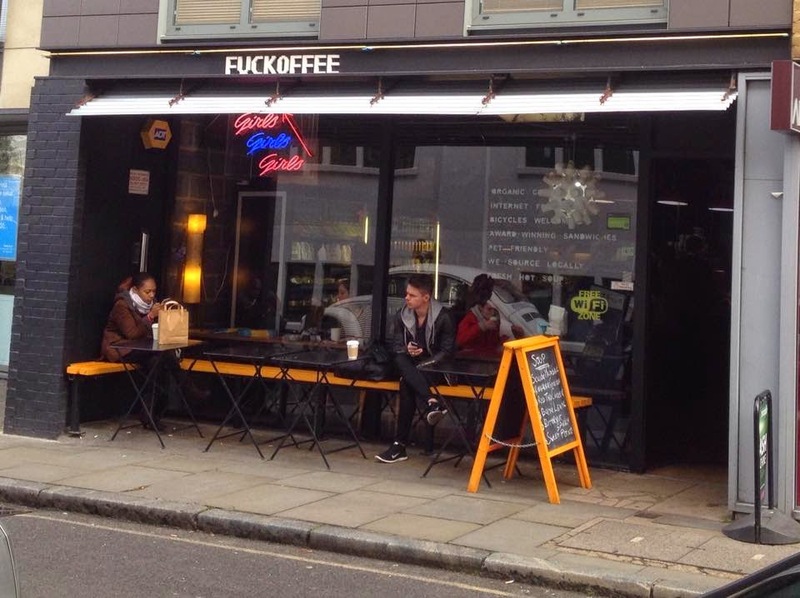 I honestly loved Fuckoffee, it was more than just a coffee shop! Yes, Bermondsey Street had my full attention! Towering above Bermondsey is The Shard, a razor sharp iconic skyscraper that is redefining this South East London area. I didn't take a look from the top because its way too expensive and I have a fear of heights but nevertheless its something that I admire each and every time when I visit London. From my dark mood, London lifted me to a happier state of mind that helped me reboot this blog and clear my head for my next move that I was so confused about. Celebrating my birthday with my parents had to be one of the best parts of my November 2014 trip to London, they don't live in the West Midlands anymore so each visit makes it special. The remembrance poppies at The Tower of London impressed me much but the hoards of tourists got on my nerves! Peckham, that corner of South Eeast London gave me life, seeing somewhere new in London gave my blog a new focus and a place compare with Woolwich. Ealing took me back to the beginning, of course I love my London! I'm done! I Love The Big Smoke!